The main account of Read‘s war years was to be found in his Annals of Innocence and Experience (London: Faber and Faber, 1940). 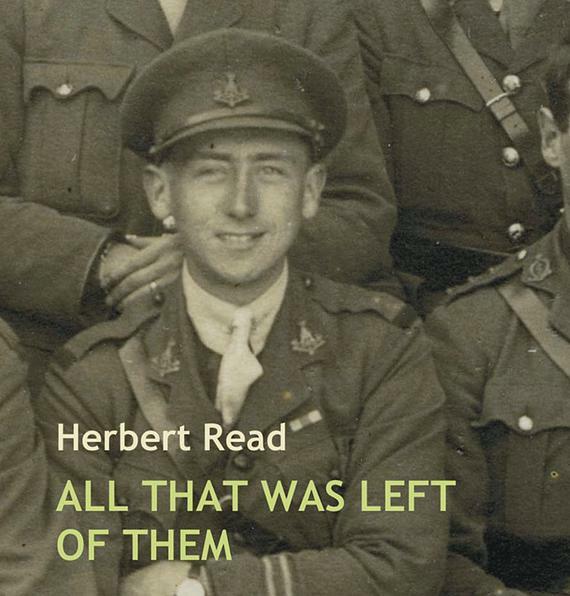 “At the outbreak of war in 1914 I was already in a military camp,” his account begins (139). He explains: after school, and while still contemplating a medical career, he joined the local territorial unity of the Royal Army Medical Corps. But he found this a bind, and once he had got to university he immediately transferred to the Officer Training Corps. Very few of those who joined the O.T.C. in those day had any serious motive. War was considered as a very remote contingency, and meanwhile here was an open-air club, with possibilities of friendship and youthful enterprise, and an annual camp which was in effect a free holiday for many who could otherwise not afford one. I was not interested in sport of any kin, and the O.T.C. provided me with my own physical diversion. I enjoyed the game very much. (139). At the Front, he became responsible for a platoon, most of whom had been toughened up by the mines and factories of Durham and North Yorkshire. These he found easier to deal with than the officers, most of whom were “young subalterns fresh from Sandhurst and the public-school boys already mentioned, struck me as snobbish and intolerant, and as trying to import into the Army the prefectorial spirit which they had acquired at school” (142). But at the Front, Read noted, “I was to see all the proud pretensions which men had acquired from a conventional environment sink into insignificance before the basic facts of body and spirit” (143). Read argued that the “men of mere brute strength, the footballers and school captains” (147) did not necessarily cope well with the physical reaction to fear. What enabled one to survive was fatalism. For some that just meant “Every bullet has it billet. What’s the use of worryin’?” (148). But in others it was a subtler state of consciousness. The war seemed to annihilate all sense of individuality. The mass of it was so immense that oneself as a separate unit could not rationally exist. But there is a sense in which the death of individuality means the birth of personality. This truth is the basis of all sacrifice and martyrdom. A saint may die for his faith, but only because that faith is an expression of his personality. And so in the presence of danger, and in the immediate expectation of death, one can forget the body and its fears and exist wholly as a mind (148). In Annals Read describes a number of incidents, including the capture of a German who, in civilian life, was a professor of Germanic philology. He talked about how although many wanted just to walk home and let the politicians sort it out, there was no room for individual initiative. Even so, he claims he never, with one exception, deliberately sought to kill an individual, and he describes an incident late in the war. In April, 1918, when on a daylight ‘contact’ patrol with two of my men, we suddenly confronted, round some mound or excavation, a German patrol of the same strength. We were perhaps twenty yards from each other, fully visible. I waved a weary hand, as if to say: What is the use of killing each other? The German officer seemed to understand, and both parties turned and made their way back to their own trenches. Reprehensible conduct, no doubt, but in April, 1918, the war-weariness of the infantry was stronger than its pugnacity, on both sides of the line (153-154). What Read seems to have valued most in the War was a sense of comradeship. As the war developed, I found in my fellow officers a rough equivalent of the society of a university, but more diverse, and deepened and concentrated by the common sharing of dangerous purposes. I had such friends then as I have never had before or since—friends with whom one lived in a complete communal bond of thoughts as well as goods. When peace came, and the bond was deserted, we drifted apart, back to the alien ways of our different social levels, our difference environments and careers. Perhaps most significantly, we lost our masculine exclusiveness (156). But Read found his relationships with the rank and file more broadening. He was in his early twenties, and in charge of sixty or more men, often older and more experienced. The relationship was most lie that of a priest to his parish, Read decided: the company officer was a medium of communication with higher authority, both the ear and the voice of his group. The intimacy that officers would have with their men (except for social misfits or snobs) would, Read hoped, lead to some new social movement after the war. But “we left the war as we entered it: dazed, indifferent, incapable of any creative action. We had acquired only one new quality: exhaustion” (157). Read’s youngest brother, who had filled him into the Green Howards and has served on the Italian Front, died of a bullet shot in the closing stages of the war. “My grief was too violent to tolerate sympathy or consolation. I walked about blinded with tears” (158). When the Armistice came, a month later, I had no feelings, except possibly of self-congratulation. By then I had been sent to dreary barracks on the outskirts of Canterbury. There were misty fields around us, and perhaps a pealing bell to celebrate our victory. But my heart was numb and my mind dismayed: I turned to the fields and walked away from all human contacts (159). So far I have just used Annals of Innocence and Experience; I will add more from Read’s writings later.